Grant, as always, is not content to win territory; he wants to destroy Longstreet’s army, but unfortunately he has a line of retreat open through West Virginia. Halleck sounds a bit disgusted with General Meade for allowing this situation. WASHINGTON, December 3, 1863-11.30 a. m.
The forces in West Virginia are not strong enough to cut off Longstreet’s retreat. 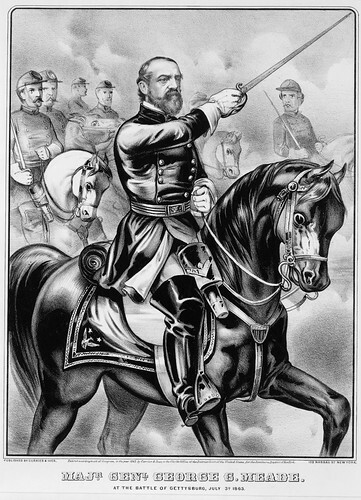 Orders were given General Meade some time ago to cut the railroad at Lynchburg, so as to separate Longstreet from Lee; but nothing has been done, and it does not appear that anything is likely to be done by the Army of the Potomac in this campaign. This entry was posted in George Meade, Henry Halleck, James Longstreet, Tennessee, Ulysses S. Grant, West Virginia. Bookmark the permalink.